Singer-turned-actresses Suzy and IU will make cameo appearances in upcoming noir action film “Real,” according to sources familiar with the matter on Tuesday. The actresses were on location for one day, sources told local media. They did not, however, reveal which roles the two took and how long they would feature in the movie. Filming, including additional sessions, ended in September. “Real” stars actor Kim Soo-hyun, who plays the double role of a casino business owner and private detective. Former f(x) member Sulli will play a rehabilitation therapist sought after by the business owner. 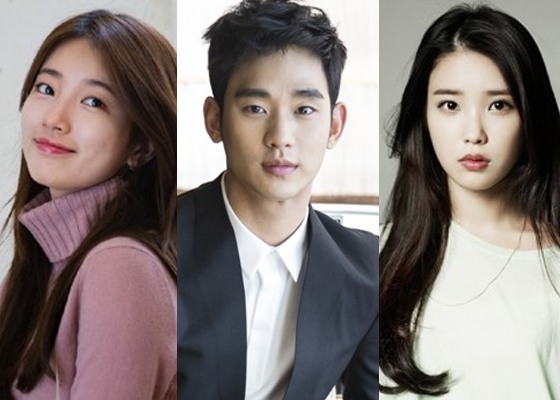 Suzy, IU and Kim acted in KBS2’s series “Dream High” in 2011. “Real” is slated for release in 2017.